When transitioning from a hospital or care facility to home there may be some concern about the potential for a medical setback or an infection occurring. To help alleviate those worries, a private duty nurse can offer extended care right in the comfort of your home. The in-home nurse will be assigned specifically for you, customizing their particular expertise with your or your loved one’s healthcare needs. Concierge private nursing services are a blessing to individuals who want to feel safe and supported following surgery or an illness. The private duty nurse assigned will provide the same, or higher, standard of care that you would expect to receive in a traditional medical setting. You can hire a nurse for a week, a month, or for whatever duration you deem appropriate based on the healthcare needs involved. Who Can Benefit From a Private Nurse Service? While private nursing services providers do vary, often offering nursing specialties, some services are quite comprehensive. Nursing services can be provided for post-operative care, elder care, home hospice, behavioral health issues, care for chronic health conditions, and care for paraplegic or quadriplegic patients. In essence, anyone with a medical condition who wishes to receive an enhanced level of care and support in the home can likely find a private nursing service that can accommodate their needs. In addition to the patient, the family also benefits from the help of a private nurse. Having a nurse in the home with their loved one can provide much appreciated relief and reduction in stress, as well as convenience. They no longer need to waste time sitting in traffic, hassling the hospital parking lots, or wandering around trying to locate their loved one’s hospital room. What Conditions Do Private Nurses Provide? In most cases, the severity or acuity of an illness or injury will dictate the time needed from the private nurse. Loved ones can hire a nurse for a week or longer, depending on the medical needs involved. Beyond the skilled nursing services enjoyed, the patient will benefit in many other ways as well. Patients receiving medical care at home experience less stress compared with a hospital environment. Just being surrounded by family can provide comfort. Familiar surroundings provide a more calm emotional state, which is important to physical healing. A private nursing service may also offer concierge mobile spa services to further amplify the level of relaxation and emotional serenity. These services may include massage therapy, IV vitamin therapy, yoga, guided meditation, and acupuncture, to name a few. In addition, the nursing service can coordinate other support providers, such as social workers, physical therapists, clergy or spiritual providers, and counseling to round out the in-home care experience. 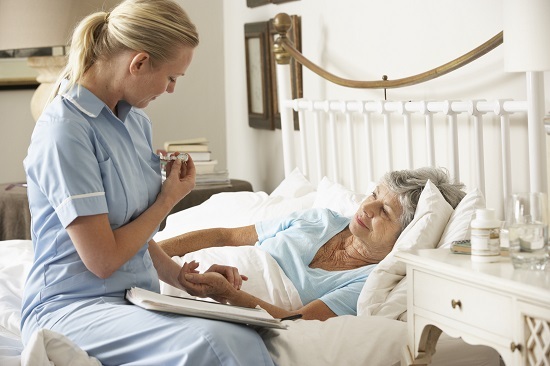 Kinkaid Private Care specializes in providing the highest standard of in-home private nursing care. With a team of registered nurses (RN) and licensed vocational nurses (LVN), Kinkaid will match your particular medical and care needs to the perfect nursing specialist for you. Kinkaid Private Care is a concierge nursing service that also offers mobile spa services to your or your loved one at home, enhancing the healing and soothing the spirit. For more information about how to hire a nurse for a week or more, please contact Kinkaid Private Care today at (877) 388-6373.